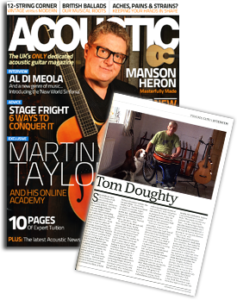 Welcome to the November update from Tom doughty, lap steel guitarist, slide guitarist, singer songwriter and dry bone ball builder. Well, I might wander off here – Debussy is in the background and it’s a freaky mild day in eary November. The low sun is streaming through the window and it’s a beautiful day. It’s been a bit of an up and down month what with all dem bones, dem bones, dem dry bones…. Which brings me nicely on to my real work, playing the guitar. Recent gigs have been great fun and in most parts to packed rooms. Colne was a particular highlight over bank holiday weekend. I played my two sets later in the evening so there were more ex SAS members (cider drinkers are all ex SAS or paras) in the audience. It was fortunate that I was once in the SAS myself. I enjoy festivals and another high spot in a Shropshire valley was being asked back to play at Farmer Phils near Rattlinghope, south of Shrewsbury. Mostly an alternative rock festival with an acoustic stage, great laid back atmosphere, relaxed, fun, the festival goers at what they do best – play about. I,d recommend it as much as what I.m listening to now, Bela Fleck, Kinesta from his glorious African album, Thrown down your heart. 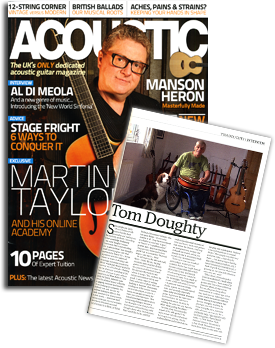 Now the big news: my gig with Craig Ogden at the Bridgewater Hall, Manchester. I wheeled onto the stage on my lonesome – that beautiful wood lined main stage in fron of 700 people and started playing my solo set. The evening was to me, a total success and I couldn’t have asked for more from myself. There will be a more detailed update next month and video footage as soon as its been edited. My first house concert here at slideytunes towers was also fun and went well, 40 people turned up and brought their own chairs. what a pleasure to play in your own home in a room that needs no amplification. (Thanks jim). There will be others to follow. I’m hoping to attract a wide range of victims to come and play too. Contact me if you,re within travelling disytance and interested….CW8. My next few gigs explore the diversity of local venues. The Wirral International Guitar Festival, Chantry Chapel in Wakefield and the Wharf in Macclesfield! A second gig with Craig Ogden has been offered next March and Janurary will see me at intimate Appleton Village Hall, couteousy of Peter Price, a mainstay of the uk acoustic blue scene, a voice that commands respect and a great guitarist. Till next time, Thanks for your support and interest.